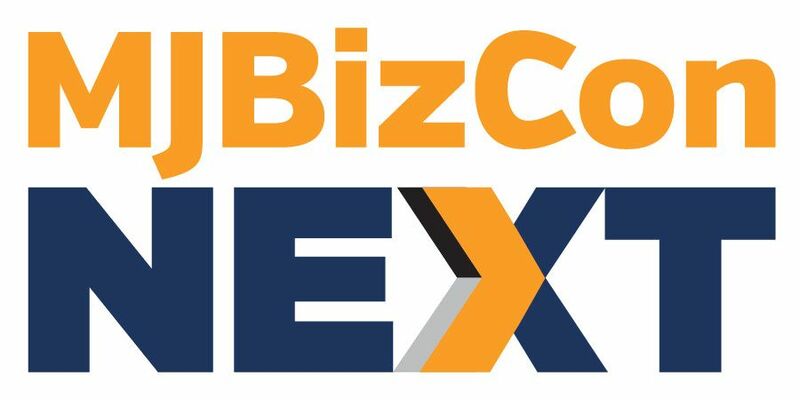 Longtime consumer advocate and former presidential candidate Ralph Nader delivered both some tough love and an encouraging pat on the back to cannabis industry members during his keynote address at the 2015 Marijuana Business Conference and Expo on Thursday. In a wide-ranging speech that covered everything from the uses of industrial hemp to how marijuana legalization could affect other arenas of political reform, Nader called cannabis legalization a “massive gift” to the public but also warned against industry corruption. And those standards, he said, must be set at a high level, firmer than those typically set by the International Organization for Standardization. “You have the opportunity to do it right. There are people in your industry who have said, ‘We have to have regulation. The more uniform, the better,’” Nader said. On top of that, Nader said it’s important for testing labs to be independent from the companies whose products they test, to ensure proper results and that there’s no possibility for corporate corruption. He pointed to the recent Volkswagen emissions testing scandal as an example of what can happen when a company is allowed to self-regulate. The unifying theme of his address, however, was that the legalization movement can lead to a domino effect that can benefit society as a whole. The war on drugs, Nader said, has been a colossal failure that has ruined countless lives. 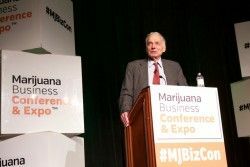 And with further loosening of marijuana laws may come news and research that could be bad news for the cannabis industry, Nader warned. He urged marijuana professionals not to hide from the truth if, for example, adverse health effects are ultimately linked to cannabis use, and pointed to the black eye the tobacco industry suffered when it tried to cover up research connecting cigarettes to cancer. The longtime activist also railed against the recent Ohio ballot initiative that attempted – but failed by a wide margin – to install a cannabis oligopoly in the state constitution. Nader called it “unconscionable,” and said it represents the precise opposite way of how marijuana legalization should be pursued. all over the World.. Not just in the U.S.A.
to this troubled old World of Ours People !!! Just spread the Love all around our Planet !!! God bless You Ralph Nader !!! Mr. Nader, it already pay to play….lax regulation to keep “it” clean and remember the cottage industry that helped these guys survive. Wise words, and very intelligent cautionary notes. Some labs and dispensaries are already corrupt here in Oregon. Some dispensaries already created their own labs to test their own products. As a grower I have taken product to be tested to four different labs . Each lab test is completely different in the content. As a medical grower it’s dissapointing. As a business grower I just use the lab that gives me the highest THC numbers in my crop. Oregon let the dispensaries sell to the public before any regulations. Nader is right, capitalism without regulation causes corruption. Do you think this will change once the rules are finalized? I noticed that THC levels on packages seem much higher in Oregon than in Washington and figured there must be some sort of incentive for Oregon testers to come up with higher numbers. The real answer is to have a state set of labs that everyone can use. The price should drop to cheap to encourage usage. Only with independent testing can we establish a baseline of facts to start from. Then we need to share the data and methods across state lines. Ralph Nader said it best when he talked. Unfortunately in simple consumerism higher THC means better product. Better product means mo money. Must be more capitalists in Oregon in the business. In Oregon more folks are over the hype and honeymoon of recreational cannabis. The landscape is starting to change. Edibles and concentrates have entered the market. Wholesale prices for growers are maturing and has some stability. Folks are actually starting to smell and recognize the terpenes and their association with essential oils in cannabis. The extract market here is starting to really take hold. THC numbers still reign, but I can see a future where other factors are more important to an individual tastes. We tested several of the labs here in Colorado back in 2012 and experienced the same thing as you, Mike. Since then, we have seen the labs come a long way but until there is standardization across all labs we will continue to see flaws in results. washington is going through the same growing pains. labs that can afford to have pesticide testing done with a triple quad mass spec. and a have a great science team will prevail the fast approaching storm. there is a lab ethics committee formed in Olympia monitoring these exact problems. i recommend Oregon does the same. price for a triple quad mas spec starts at $250k and $25k a year maintenance program. Oregon coffers have the monies if they don’t spend it on regulation enforcement first. We need standards for the labs, agree completely.